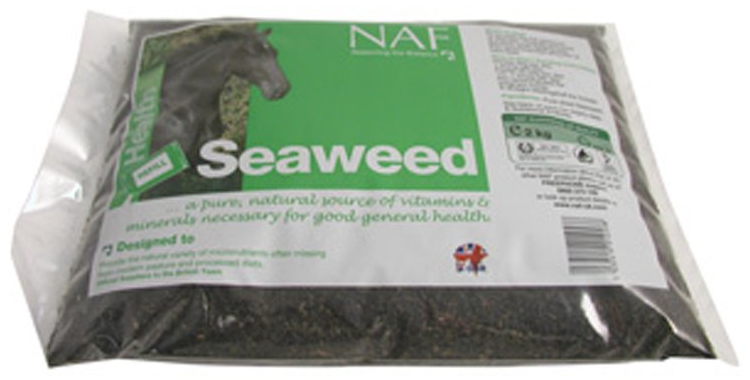 NAF Seaweed is a completely natural supplement which is a source of vitamins and minerals and trace elements. 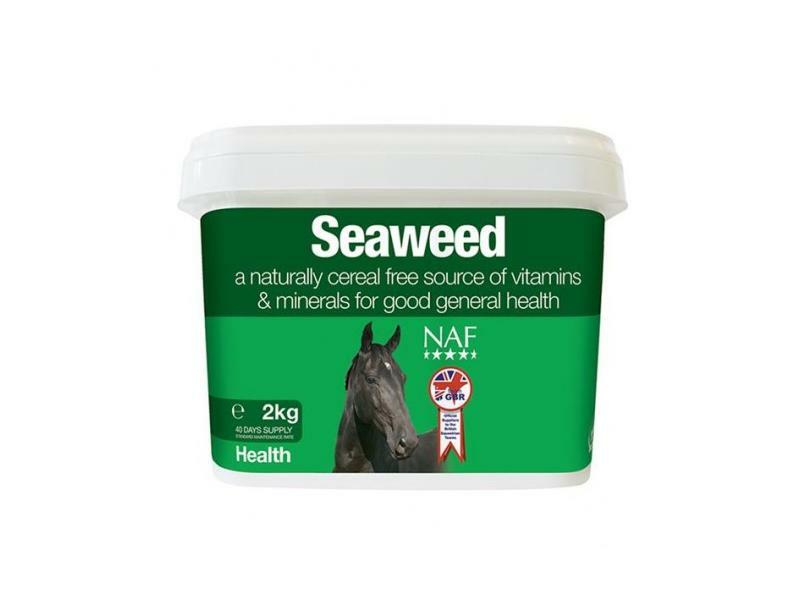 It can be added in with the daily feed to boost the horse's nutrient intake and is ideal for those which suffer from a wheat intolerance or those which do not get enough of a full feed each day. 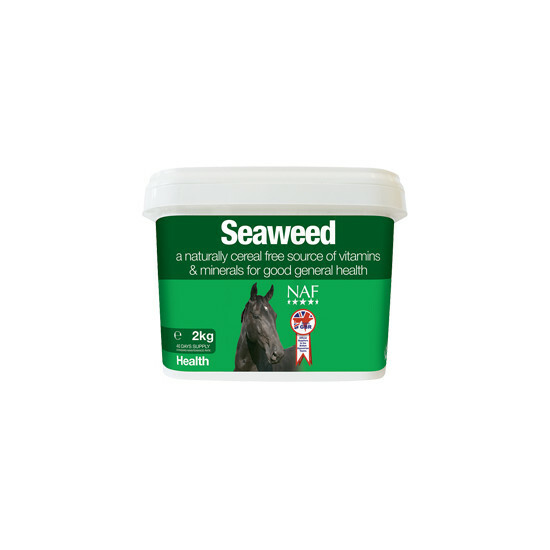 Seaweed is known to improve general health and vitality in horses and is particularly beneficial for the horse's coat condition. Also contains a source of Provitamin A, Vitamin B1, Vitamin B2, Vitamin C, Vitamin D, Calcium, Sodium, Chlorine, Sulphur, Cobalt, Iron, Manganese, Molybdenum, Selenium, Magnesium, Potassium, Phosphorous, Aluminium, Boron, Chromium, Iodine, Nickel, Zinc. Not recommended for pregnant mares. One 60ml scoop provides approx. 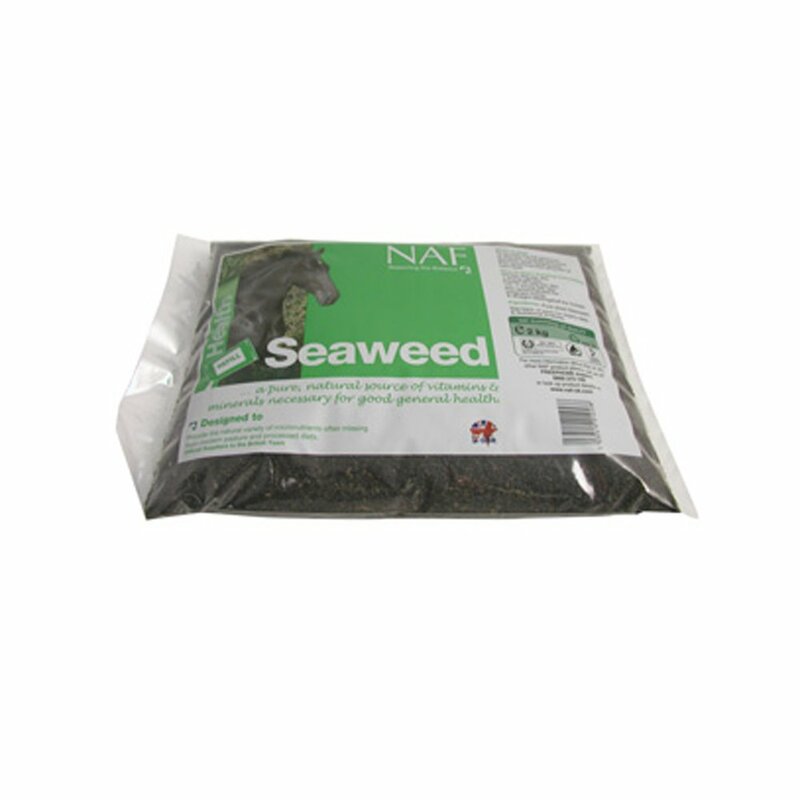 50g of Seaweed. 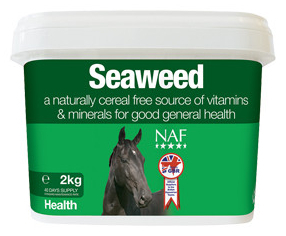 There are currently no questions for NAF Seaweed for Horses - be the first to ask one!